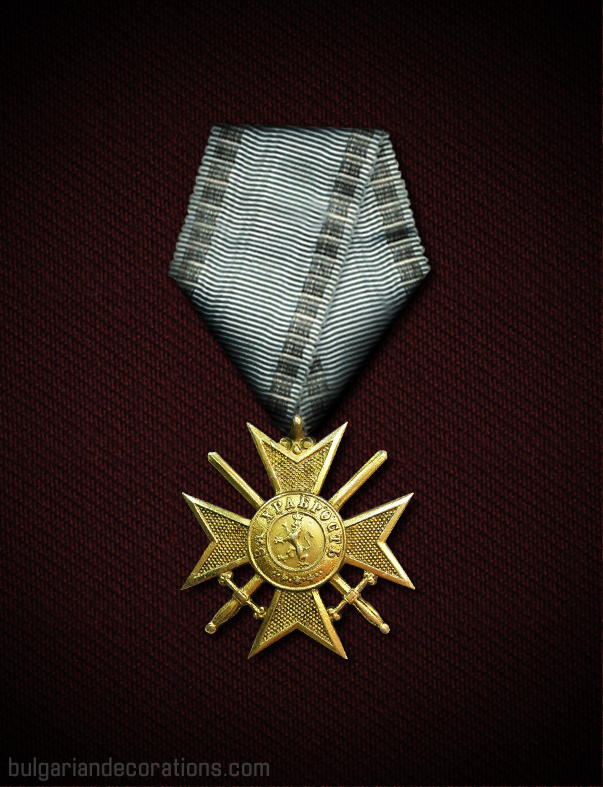 Home > Distinctions > Soldier's Cross of the Military Order "For Bravery"
Soldier's Cross of the Military Order "For Bravery"
Obverse: Dotted cross arms. The central medallion bears a crowned lion rampant. On the outer ring of the central medallion is inscribed “ЗА ХРАБРОСТЬ“ / translation: for bravery / and either (1) nine decorative elements, (2) the year “1915” or (3) “1941”, depending on the issue. Reverse: Dotted cross arms. The central medallion bears Prince Alexander I’s crowned cypher. On the outer ring of the central medallion is inscribed “КНЯЗЬ НА БЪЛГАРIЯ“ (or “КНЯЗЬ НА БЪЛГАРИЯ“ on later issues) / translation: Knyaz (Prince) of Bulgaria /; and the year 1879, separated via two stars (or dots etc.). 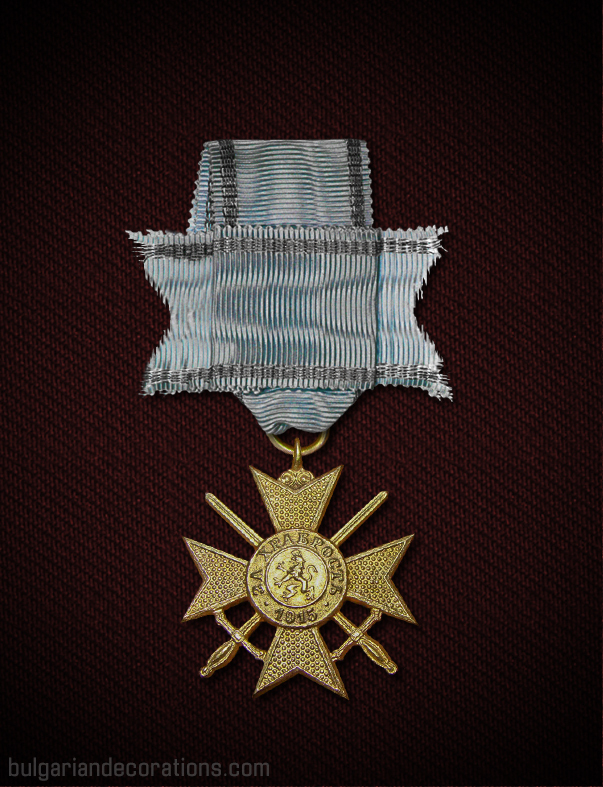 Associated with: the Military Order "For Bravery"
The Soldier’s Cross of the Military order “For Bravery” is perhaps the most-widely distributed decoration of all the royal Bulgarian decorations. 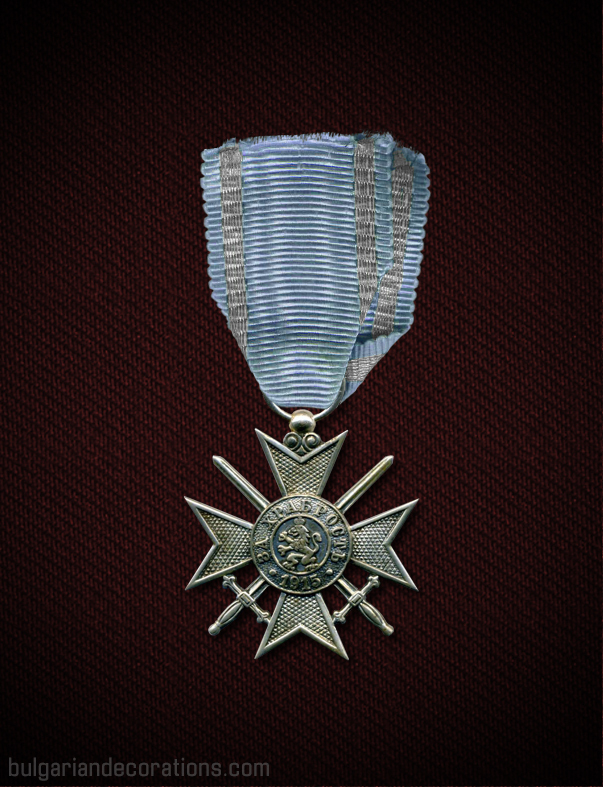 It has been presented to thousands of soldiers (both Bulgarian and foreign), as a mark of their outstanding bravery on the battlefield, during the six wars which Bulgaria fought between 1877 and 1945, but also during the civil conflicts in the very early years of the new Principality. Among the first recipients of the cross were members of the Bulgarian voluntary corps who took part in the Russo-Turkish war of 1877-1878. At this time, the Soldier’s cross had only two classes (‘silver’ and ‘gold’ crosses) but soon after a third class has been added too. The first type of the crosses were of an outstanding quality (presumably of Imperial Austrian manufacture). These crosses featured a similar design to the actual order, though lacking the enamel and instead, being made entirely of metal. 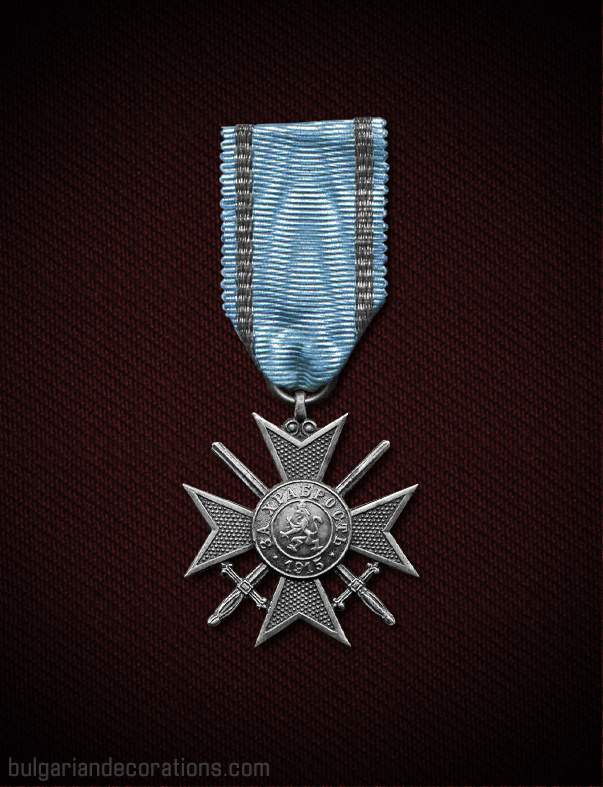 The initial type of crosses bears nine decorative elements at the bottom of the central medallion on the obverse and tiny six-pointed stars on the reverse. Interesting fact for these initial decorations is that the ribbons used were a lot more similar to the ones used for decoration with the actual order and were often folded in an identical triangular shape. Only during the Balkan wars, the display of the soldier’s crosses and their ribbons were (mostly) unified. 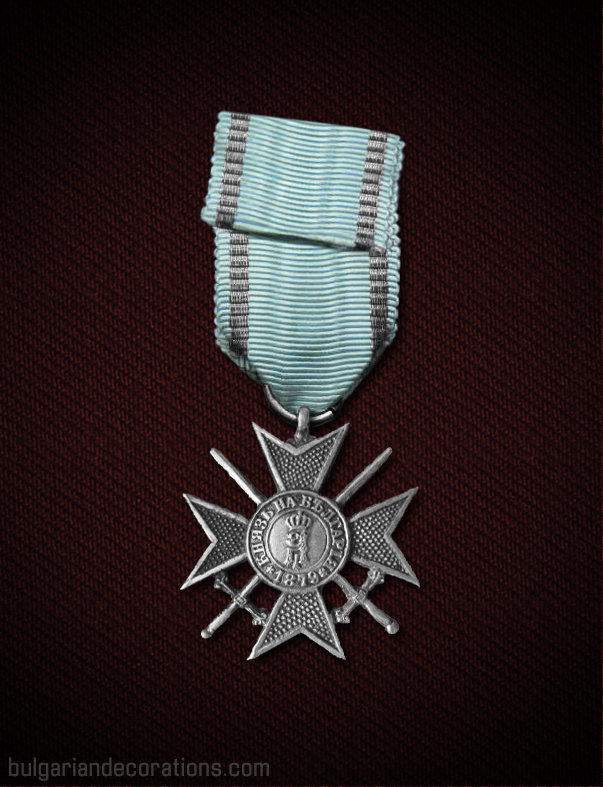 The next issue of the cross features practically the same design, the only difference being the usage of dots instead of six-pointed stars for separation of the year on the reverse of the central medallion. At around this time (December 1885), the classes of the Soldier’s cross have been updated and are now four in total – 1st and 2nd class being made of yellowish metal (or gilded) and 3rd and 4th – of white metal alloy or silvered. 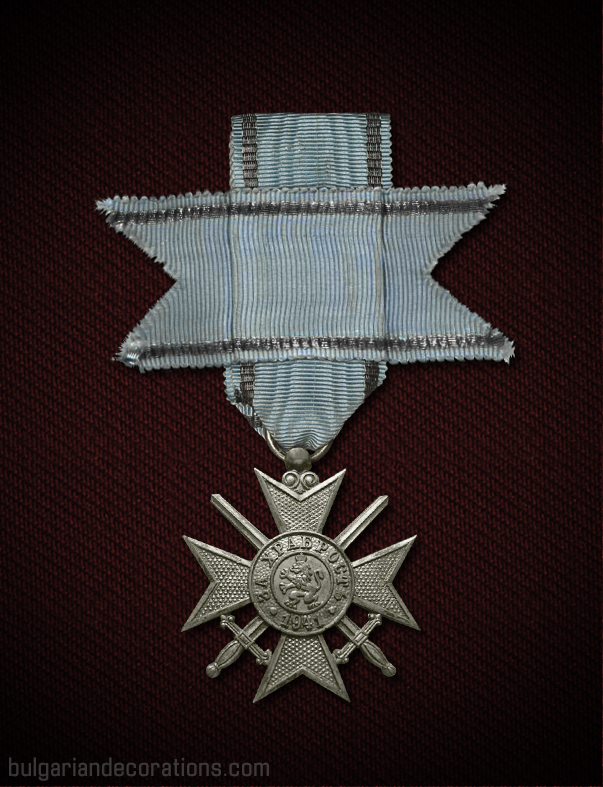 In order to make the distinction between the higher and lower classes, 1st and 3rd classes had a cross-band (also labelled bow) on the ribbon. Even when bestowed upon female soldiers, the ribbon of the cross remained the same and has not been tied in the form of a ladies’ bow, as per usual practice. 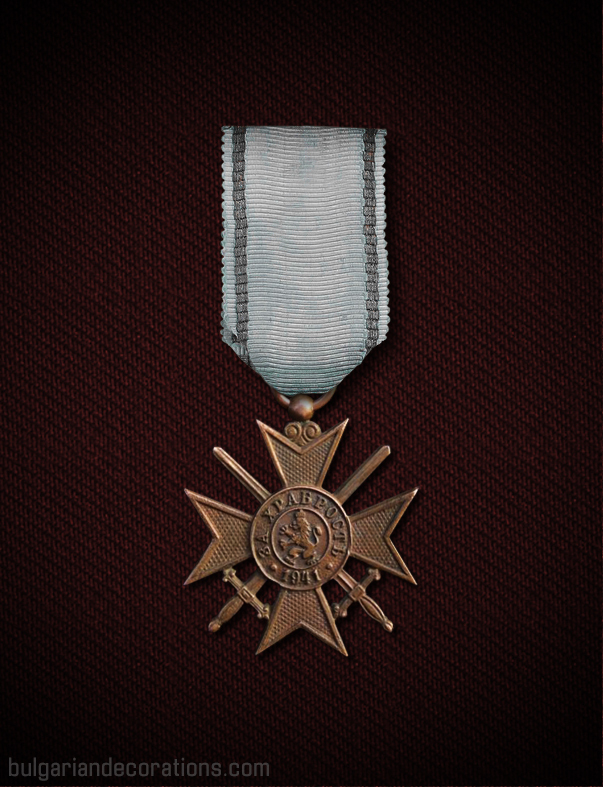 During the two Balkan wars, there have been further issues of the solders' cross. During this period, decorations have been conducted with crosses of various manufacture origin. A large number of these crosses are of a very poor quality which might suggest that, due to the urgent and high demand of crosses, some local manufacturers might have also produced crosses, though, with the national economy on a wartime scale, the materials used were poor and the quality of the final product dropped significantly, compared to previous issues of the cross. 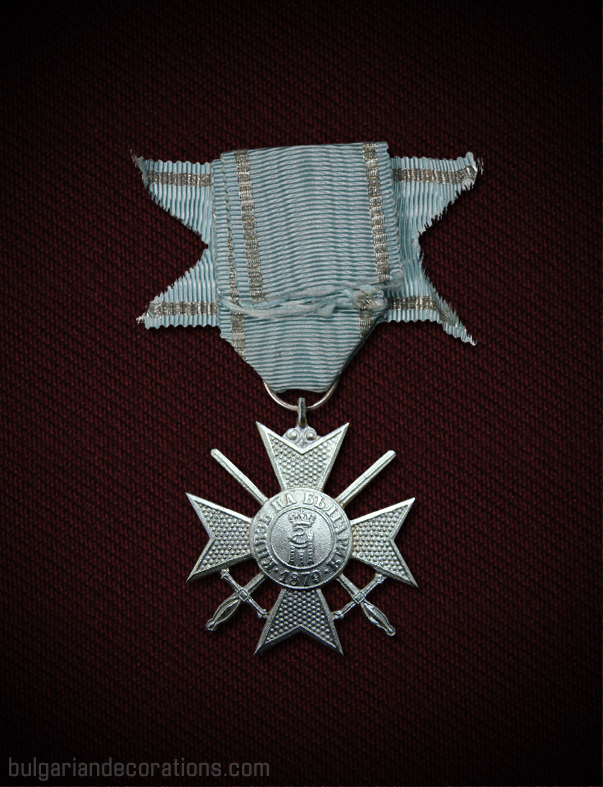 Nevertheless, these crosses were used and many veterans of the First and Second Balkan wars were decorated with these. The specific feature of these crosses is the tiny cinquefoil shapes in between the text and year on the reverse of the distinction. In early 1916, a new issue has been announced for both the order and soldiers' cross. It should bear the year ‘1915’, as a mark of Bulgaria’s entry to the European War. This new design only slightly differs from the previous ones: the decorative elements on the obverse have been swapped with the year 1915, inscribed in between two dots. 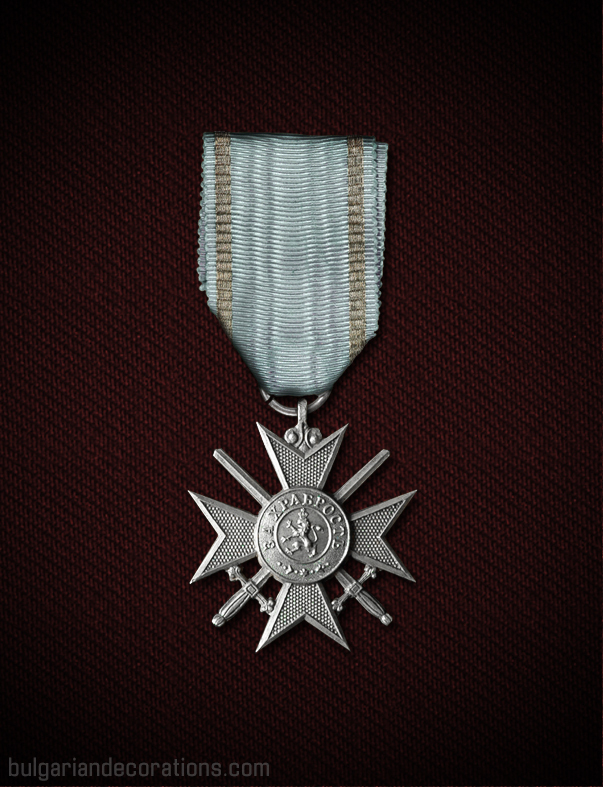 This type of the soldier’s cross is perhaps the most common of all. As the war progressed, a further sub-issue of the ‘1915’ one has been minted. It bears an updated text on the reverse - “КНЯЗЬ НА БЪЛГАРИЯ“ (the word Bulgaria is written in accordance with the new Bulgarian orthography). Additionally, the sword handles look slightly thicker, compared to the previous issues. These crosses have been minted at the later stages of the war and thus are relatively rare. Some time after the war, a very limited emission has been minted. It was of a very good quality. We can assume it has been produced in Germany, as it had basically the same design as the next and final issue - the 1941 issue, minted in Germany a few years later. 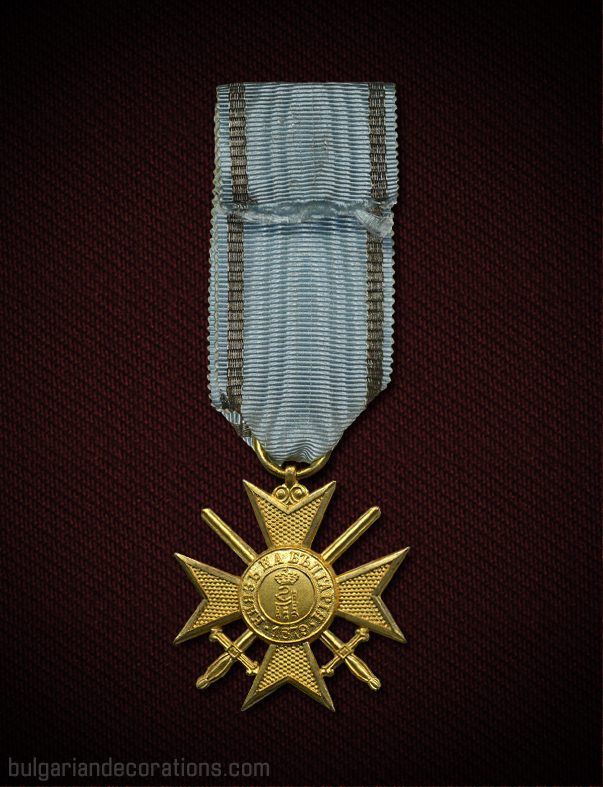 Some sources suggest that the non-official 5th class cross (also known as bronze cross) from the 1941 emission has been introduced with this emission instead. The next and last issue of the soldier’s cross is the so called ‘1941’issue, which has been minted to mark the year in which Bulgaria signed the Tripartite Pact. 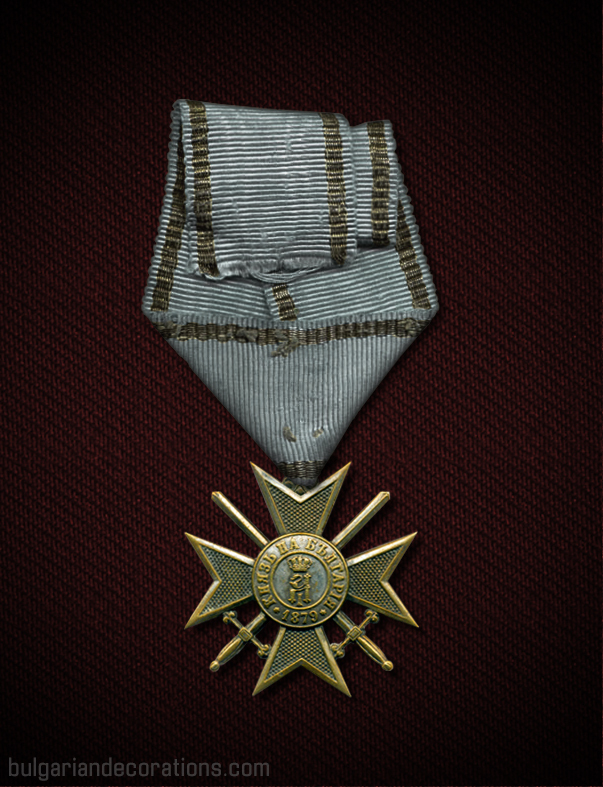 These crosses have been minted in very limited numbers and have been predominately presented to soldiers of the Third Reich for their military deeds on the Balkan front. 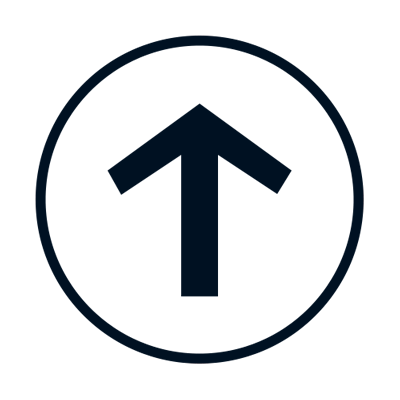 The design of the crosses basically reproduced the previous one, only having the year amended from 1915 to 1941. Due to the only few crosses of this emission, we have little information about it. We can only assume that this last emission had an additional, 5th class, which represented a bronze-coloured metal cross. However, this information is yet to be officially proven as no known document confirm this.